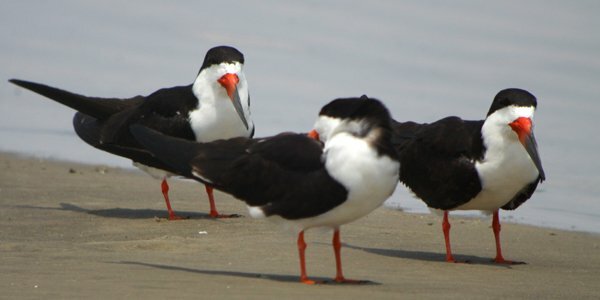 Black Skimmers are another of those birds, like White-breasted Nuthatches, that people can’t help but like. They have awesome bills that slice through the water in search of fish, they bark like small dogs, they have a cool color scheme. 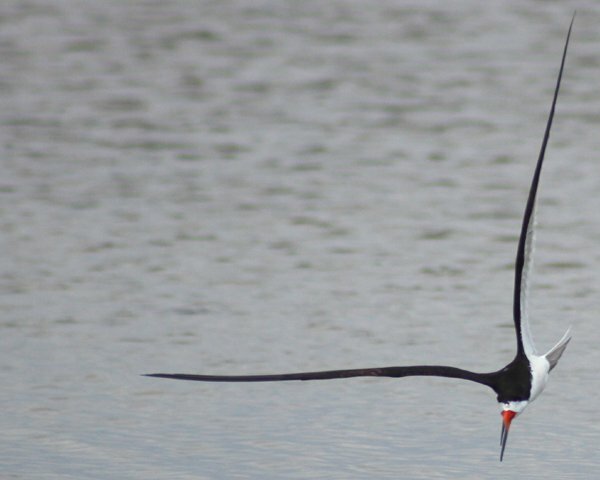 It is impossible not to be amazed by skimmers as they effortlessly glide over the water, their bills cutting a furrow that will not be planted but harvested. A bird such as Rynchops niger is a testament to the marvels of evolution. When skimmers are hunting even the most jaded birder has to watch them and the vast majority of the time a smile will be on that birder’s face. 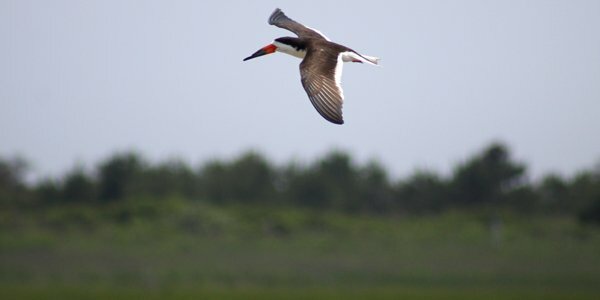 Black Skimmers are one of three species of skimmer in the world, all in the genus Rynchops. 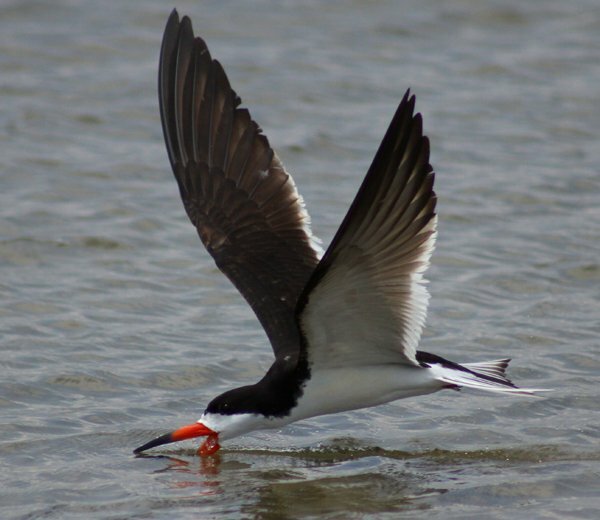 Africa has the African Skimmer R. flavirostris and South Asia has R. albicollis, the Indian Skimmer. 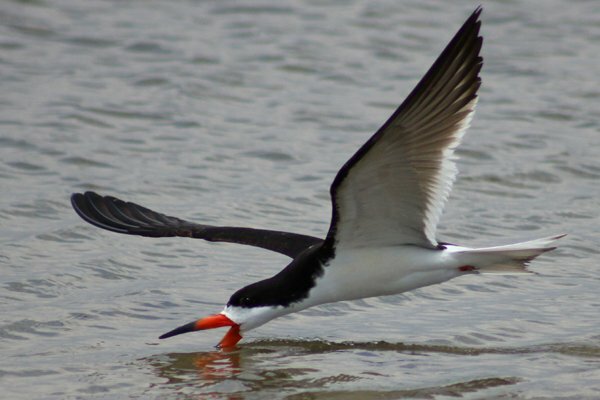 While the Black Skimmer is a Species of Least Concern, the African Skimmer is Near Threatened and the Indian Skimmer is Vulnerable, sad news for anyone who appreciates these magnificent birds, which is everyone. Here’s hoping that all three species will be around for a long time to come! A word here about skimmer bills. They have a lower mandible longer than the upper which they use to sense prey by flying low over the water and dragging the lower mandible. When the bird bumps into, say, a small fish, the bill snaps shut and dinner is served. What is not clear from the typical side view of the bird is how razor thin the bill actually is, which only makes sense because if the bill were wide the amount of drag that would occur from flying around with it in the water would cause the bird to crash over and over again. But, really, as you can see from the image to the right, the entire bird is relatively thin, and can almost turn invisible when it is flying directly at you. 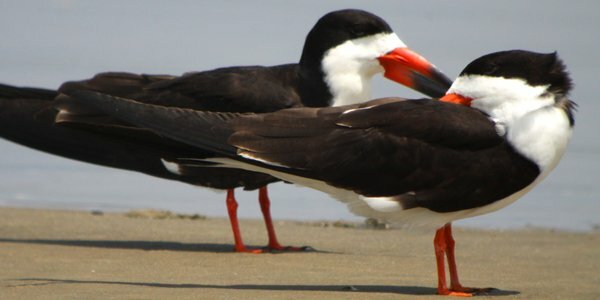 Enjoy these Black Skimmer shots taken at Cupsogue County Park in Westhampton, New York, on the south shore of Long Island. If you like them and want to see more check out this gallery, also taken in New York. This post has been submitted to Bird Photography Weekly #149. Go check it out! I’m amazed at the photos of the bird skimming the water. Great shots, clear on where the name came from. Great shots & thanks for all of the info! 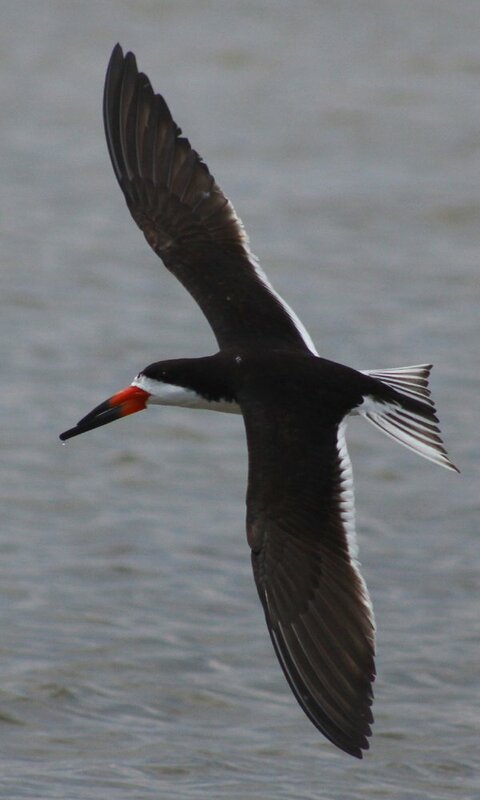 Excellent captures of the Black Skimmer Corey! Love the “skimming” shots.